Stylish and modern kitchen cabinets in the city of Los Angeles are needed to create an upgraded look in any kitchen. They should not just look beautiful but they should also be functional and durable. The cabinets are an important part of a kitchen so that should be taken into consideration. The space should be measured properly for the best fit and the cabinets should be hung securely. Consider the style of the home, the amount of natural lighting, and the size of the space. These things will help the buyer decide what cabinet finish is required. 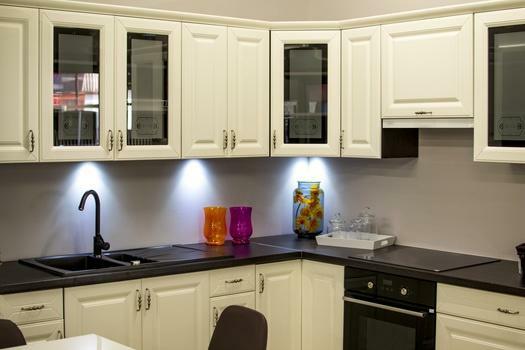 Modern cabinets are available in a variety of finishes perfect for many different homes. Consider finishes like American walnut, white shaker, or cinnamon. In addition, European finishes such as grey or cocoa are easily purchased. Choose from flat panel doors or shaker style doors. Cabinets that add value to a home should be made of solid wood that won’t fall apart after placing dishes inside. Modern kitchen cabinets in Los Angeles are those cabinets that will look fantastic and hold up in a busy family kitchen for many years into the future. Before purchasing anything, though, the kitchen space needs to be measured. This is very important because getting the wrong cabinets will mean that they won’t fit in the space. Consider things like appliance placement, the sink base, light switches, and doorways. Sometimes it helps to tape the floor where the cabinets will go and visualize what the cabinets will look like. Consider space saving corner cabinets and various sets of drawers as well as the sink base. In addition, upper cabinets may need special placement as well. Think about one or two cabinets having glass doors instead of solid wood doors. There are many steps involved in getting modern kitchen cabinets in Los Angeles. From measuring to installing no step in between is unimportant. The homeowner should get the finish that they like the best. In addition, the cabinets should create a working flow in the kitchen space. Once the kitchen is complete, the entire kitchen will be updated and the overall value of the home should be raised by a considerable amount.